Christians in one corner of Iraq have tripled in number over the past 15 years according to a leading bishop who is grappling with an influx of people escaping persecution and oppression. 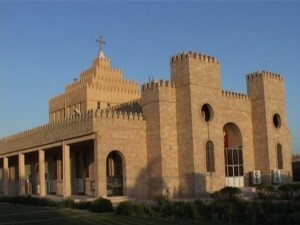 Christians in Ankawa, a suburb of the Kurdish capital Erbil, have increased from more than 8,500 in the mid-1990s to more than 25,500 today. Of those, up to 1,500 have arrived within the last year alone. Many of them fled after the October 31st, 2010, siege of the Syrian Catholic Cathedral in Baghdad where 58 people were killed and more than 70 were injured in an attack during Sunday evening Mass. Christians arriving in Ankawa have fled not only from the Iraqi capital but from all across the country: Mosul in the north, Kirkuk in the north-east, and even Basra, hundreds of miles away in the extreme south. Giving this assessment of the displacement of Christians in Iraq, Archbishop Bashar Warda of Erbil told Catholic charity Aid to the Church in Need (ACN) about the huge challenge of helping people arriving in Ankawa. 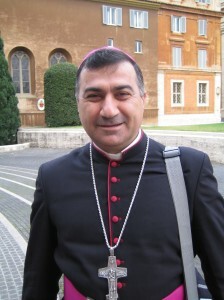 The archbishop said many were attracted by the relative safety of the Kurdish north and had come to Ankawa because of its high proportion of Christians. Underlining the need to support Christians, Archbishop Warda said that this week alone a Catholic primary school had opened its doors for the first time. Back in January, Archbishop Warda got local government support for a plan to secure two plots of land to build a 100-bed hospital and a university. But the archbishop said there was still a huge amount of work ahead. Archbishop Warda said that many Christians arriving in Ankawa think of it as a stop-off en route to eventual emigration to Turkey, Lebanon and Jordan. In the last decade, Christians in Iraq have plummeted from 800,000 to perhaps as few as 150,000, with many forced out by a series of killings, kidnappings, verbal and physical violence, attacks on Christians businesses and homes which were often acts of religious intolerance. The archbishop stressed that the Church wanted to encourage Christians to stay in Iraq. Describing the people as “very strong in their faith,” Archbishop Warda stressed the pastoral demands of coping with too few churches and a shortage of priests and catechists. Now Archbishop Warda has plans for a new church in Ankawa. Archbishop Warda praised Aid to the Church in Need for prioritizing pastoral help for Christians arriving in Ankawa. ACN has given help including Mass stipends for priests, Christian education materials such as books and leaflets and support for church building projects. When the Baghdad district of Dora fell victim to killings and kidnapping of Christians (2004-7), the charity helped evacuate seminarians studying there to Ankawa, where for a time they lived in metal shelters. ACN has provided scholarships for priests and food packages for Christian families in Kurdish northern Iraq provided by Sisters who travel around villages in a van.